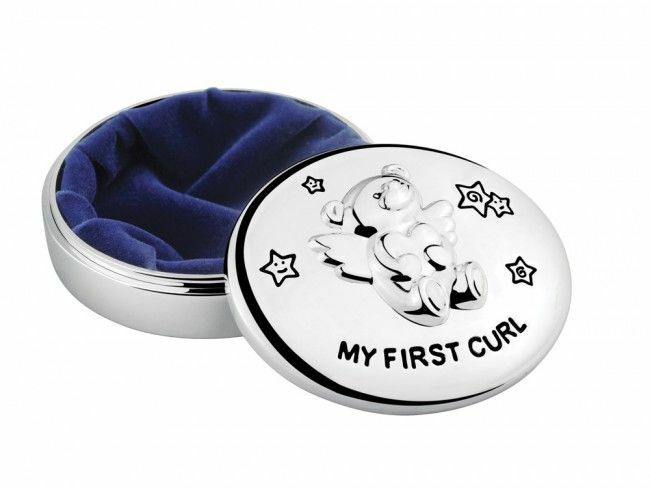 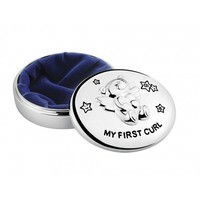 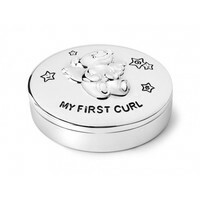 Home First curl box "Twinkle"
The silver plated "Twinkle" is lined inside with blue velvet and offers the perfect place to store your first curl. 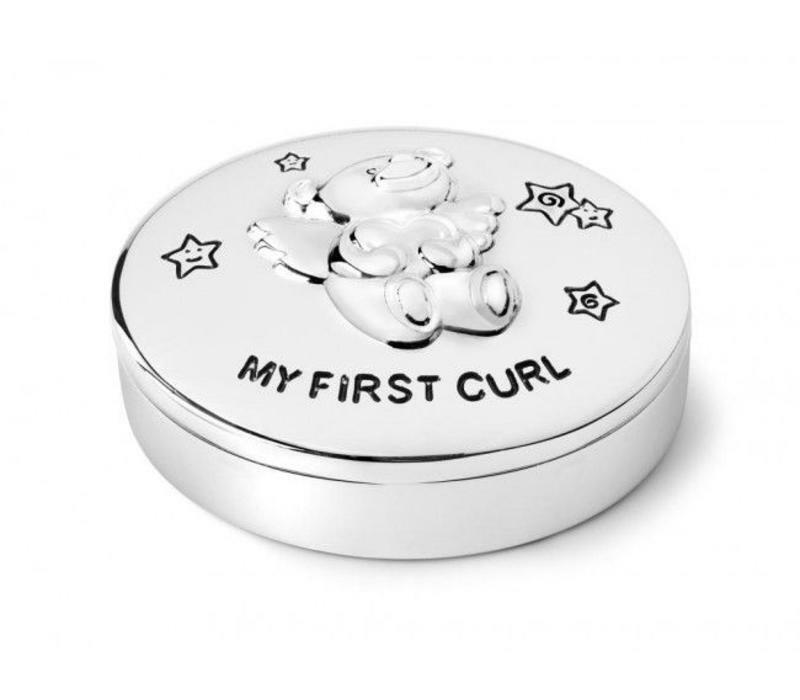 The silver plated hair-curl box "Twinkle" is lined inside with blue velvet and offers the perfect place to store your first curl. 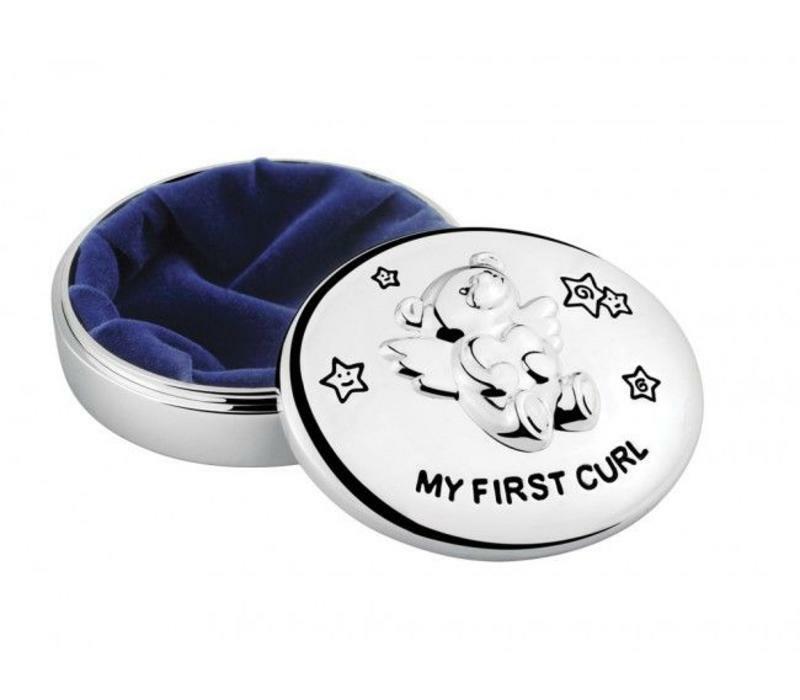 The high-quality tin is delivered in a velvet bag packed in a box and is therefore an ideal gift for birth, baptism, birthday or Christmas or as a lasting reminder for oneself. 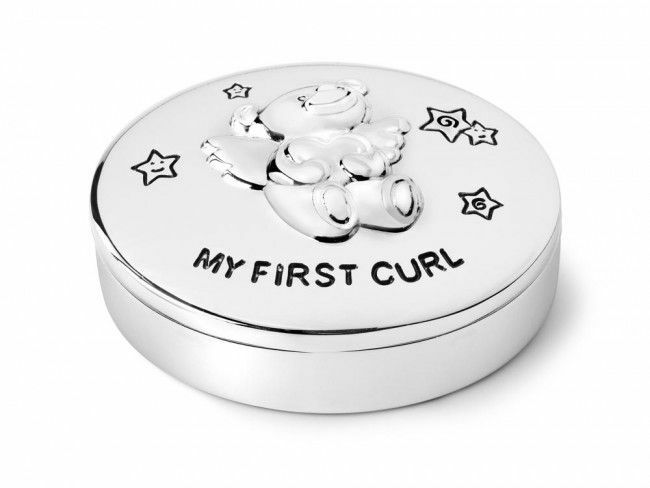 - Engraved lettering on the lid of "My First Curl"